DP World and Kalmar's cooperation has made the Port of Brisbane one of the most highly automated facilities in the world. Automation will enable an increase the terminal's annual capacity from 600,000 to 900,000 TEU as well as improved customer service. The competitive environment at the Port of Brisbane became tougher with the arrival of a third operator in 2012. The port's other two operators had already implemented automated systems and equipment. DPW Brisbane realised that it would have to make more efficient use of its terminal space while maintaining the highest standards of safety, complying with maritime transport security regulations and delivering excellent customer service. Containers are transferred by manned shuttle carriers from the quay crane to the interchange area at the waterside end of a module serviced by automated stacking cranes (ASCs). Fourteen Kalmar shuttle carriers operate between the ship-to-shore cranes and ASCs to transfer containers between vessels and the land. 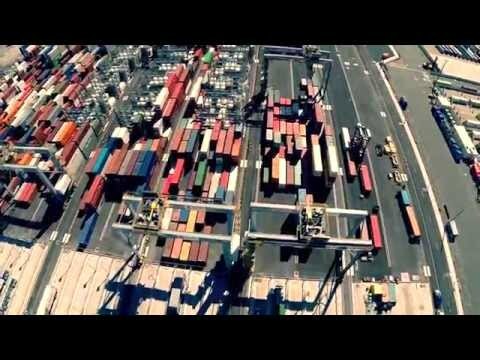 Kalmar Automated Truck Handling automates the landside operations. DP World Brisbane has adopted the latest automation technology from Kalmar and Navis to ensure fully integrated operations that deliver optimum productivity and reduce operational costs. The project will increase the terminal's capacity from 600,000 to 900,000 TEU and it will be one of the most highly automated in the world, ready to meet the shifting demands of the business – both today and tomorrow.